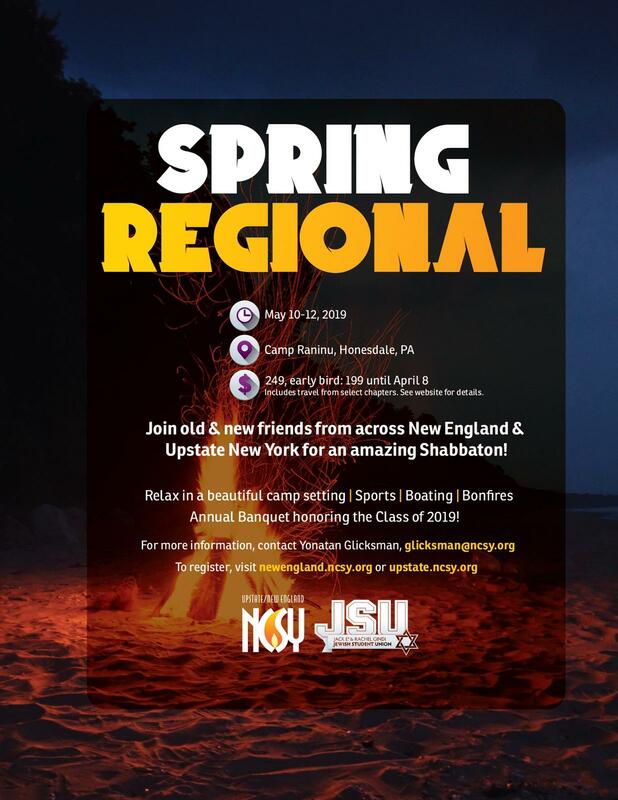 New England & Upstate Spring Regional 2019! Scroll down for Travel, Timing, Policies, & Packing List! Financial Aid available on a rolling basis- apply along with registration! ~ Event begins at Camp Raninu on Friday at 1:00 PM, and ends Sunday at 4:00 PM. End-of-the-Year Gala Banquet will be Sunday at noon! Please contact us about traveling from any other city! ~ Please read our Shabbaton Policies & Guidelines here. Please feel free to reach out with any questions or concerns about these or other NCSY event policies.